The Hadas – Claudia Cohen Torah/Army School is a pioneering project which was designed to counter some of the challenges posed by contemporary Israeli society. Israeli history is filled with observant women who wanted to contribute to their country by serving in the Israel Defense Forces. Unfortunately, these young, idealistic women were discouraged – or even forbidden – from doing so by their spiritual mentors, leaving them torn and conflicted. Those who did nonetheless join the army often found themselves isolated and alone; those who chose not to become soldiers were forced to struggle with their own guilt and disappointment, as well as the resentment of their secular Israeli peers. 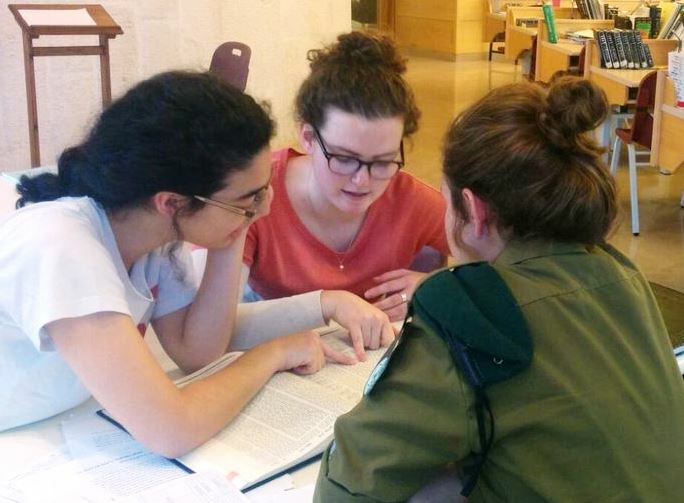 In order to answer the needs of the religious Israeli woman – as well as to counteract the growing animosity and polarization within Israeli society – OTS spearheaded the Hadas initiative. A full 20% of Hadas participants opt to accept invitations to officers training course and continue to serve the IDF in important positions of command. Ultimately, the Hadas program not only provides participants with the opportunity to fulfill their patriotic duty without compromising their religious commitment, it also provides a golden opportunity to shatter damaging stereotypes, create dialogue between religious and secular youth, and take steps toward the unity that is so crucial for Israeli survival. 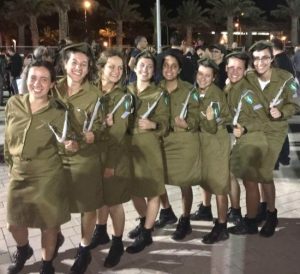 In the Fall of 2015, Hadas launched Hadas Chu”l, a special track for Orthodox, post-high school young women from abroad who wish to serve as soldiers in the IDF (either as Machal volunteers or as new immigrants). This program includes a period of high-level Judaic studies with Israeli teachers and students, prior to being drafted. During their service, our students are given the option of living in an apartment together and being adopted by an Israeli family. The school maintains contact with parents throughout their daughters’ participation in this special program.